Children will use their senses to explore nature. They will smell, hear, feel, and see their way through their own backyard nature discovery. 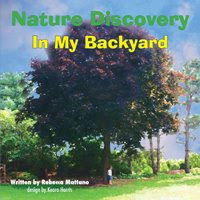 Each page offers a unique look into nature, with colorful pictures that will challenge your children to find all that nature has to offer. In the back of the book, parents and educators will find amazing tips for going on a nature discovery with their children and students any time of the year! The Nature Notes in the back of the book provide exciting information about the plants and animals in our nature discovery. This book also links to the Model Early Learning Standards so that educators can use this. Join EnviroGirl as she learns about saving the environment! 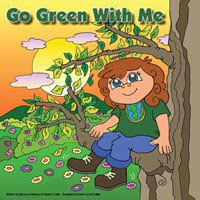 In Go Green With Me you and your child will learn simple, eco-friendly tips that will help protect the planet. From recycling and solar power to worm composting and so much more, Go Green With Me makes these important lessons fun to read and learn. In a continuing effort to go green and do more to protect and help the environment, I was thrilled to find out about The Little Environmentalists. These books teach children about nature, as well as how to conserve our resources. My daughter has learned alot from these books and it shows in her everyday life! She's been turning off lights when they are not in use, as well as turning off water while she's doing the dishes or brushing her teeth! Two winners will win one of these books! To enter, go to the site, and have a look around. Then come back here and fill out the form. Tell me there what you are doing to help save the environment. Also let me know which book you would like to win. Remember to stop by Moody Mama Says and Everyday Baby Steps and enter their giveaways and leave the name of the one(s) you entered in the comments below!